Hello all! Back from another three months in Cuba - After two delayed departures, I finally left behind the world of salsa, son and rumba - well...until my next visit. 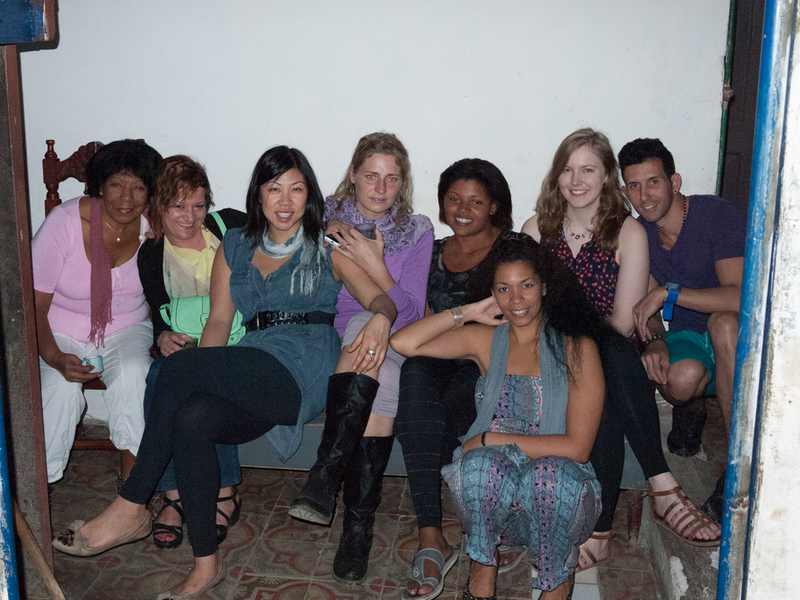 More posts to follow my other dancing adventures, but first a recap of Bailando Havana. The first edition of Bailando Havana took place from February 7-14, 2014. Our group spent a fun-filled week taking classes in body movement, casino and son at the Mari Suri Academy. Dance moves were practiced at nightly salsa venues and at live concerts. It was a pretty full week - but fortunately, there was even time for a few naps here and there. And what trip to Cuba would be complete without some time at the beach? We made it to the beautiful Playa Santa Maria Del Este: to grab a bit of sun, to be serenaded by the live band, and to enjoy some of the best piña coladas in Cuba! I had a great time organizing and participating in the event. Looking forward to the next one scheduled for Fall/Winter 2014! If you have any questions regarding recommendations for dance courses and schools in Havana, or are interested in participating in the next Bailando Havana event (targeted for Fall 2014), please drop me a line.